Bengaluru: Digitisation is changing the paradigms in marketing across sectors. This global phenomenon is introducing new practices in marketing communications and renewing the significance of online media for B2B and B2C businesses. How marketers can adapt to a rapidly evolving arm of marketing in the world of business and what are the challenges and opportunities in the next decade were some key topics discussed at International Research Conference organized by S.P. Mandali’s Prin. L. N. Welingkar Institute of Management Development and Research (WeSchool) And Academy of Indian Marketing. The symposium under the theme “Marketing in the Next Decade”, revisited the fundamental pillars of marketing in the backdrop of technological advancements. The event was consequent to the three day 6th AIM – AMA Sheth Foundation Doctoral Consortium that invited doctorial students to share their research about ‘’Marketing in a Connected World.” Noted academicians from international universities participated in both events. The conference saw marketing leaders discussing the influence of digital technologies in marketing and also the academic scholarly work on this subject. 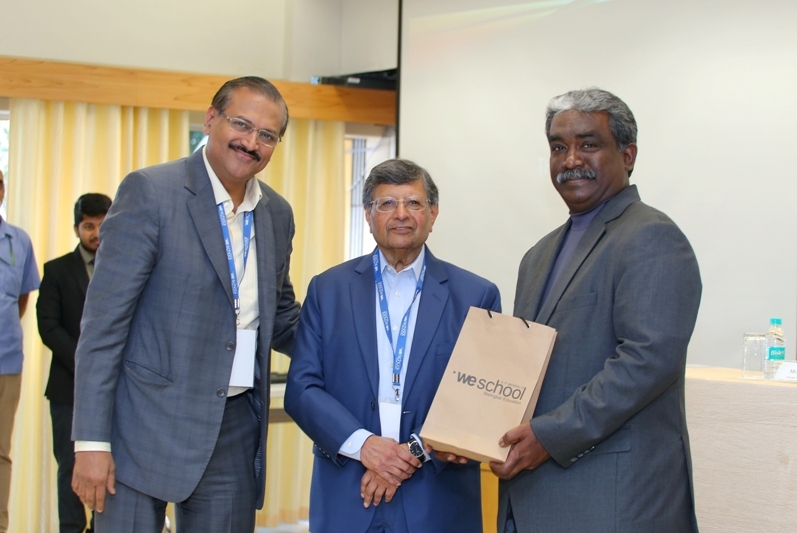 The inaugural of the conference was attended by the leadership team from WeSchool and AIM (Academy of Indian Marketing) at WeSchool, Bengaluru Campus. 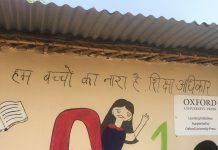 The Chief Guest, Mr. Sharad Sharma, Founder, iSPIRIT emphasized on the power of data empowering lives through data democracy and bringing in economic prosperity. He showcased the progress of technology by citing the fact that more people have mobiles phones than wrist watches. He also highlighted that advertising was shrinking in a significant way and that video content would continue to be a non-advertising supported model in the foreseeable future. The Chief Marketing Officer roundtable with Mr. Ragavendra Prabhakar, Strategy Lead on Digital Marketing, BOSCH; Mr. Vikrant Bhargava, Digital Practice Leader, IBM; Mr. Vivekanand Venugopal, MD, Hitachi Vantara; Mr. Indroneel Das, Principal Technology Architect, Flipkart was moderated by Marketing Guru, Prof. Jagdish Sheth, Charles H. Kellstadt Professor of Marketing at Emory University. The discussion underlined how consumerism was driving companies to become digital. The panelists agreed that consumer engagement as key to influencing the dynamic profile of a consumer. The following session on “Marketing Research in Digital Age’’ saw Mr. N. S. Muthu Kumaran, Executive Director, Hansa Research; Mr. Ashutosh Pujari, Founder, Chief Epic Maker and Mr. Lokesh Sewak, Head of Digital Marketing and Analytics, Loccitane. The session moderated by Prof. Dr. D. N. Murthy, Dean Marketing & Research, WeSchool asserted the significance of data as the new currency and business analytics. The valedictory session saw Chief Guest, Beena Patil, Vice President – Human Resources, Indegene Lifesystems, describing the event with an outcome that is practically viable. The event concluded on a positive note with closing remarks from WeSchool and AIM leadership.